Music is known as an efficient emotional trigger, but physiologically speaking our auditory senses has the potential for creating multi-sensory experiences and sometimes making it possible for us to accomplish seemingly impossible tasks. 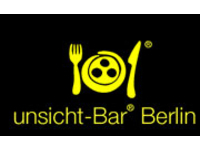 Among the gastronomic diverse experiences on offer in Berlin you will find the restaurant Unsicht-Bar, a place where the guests dine in complete darkness served by blind waiters. The role as a food critic is not to be taken here (something which would incidentally leave the restaurant with little credit). The experience however has relevance for the theme of this blog which is listening, as it highlights the degree of interconnectedness existing between our different senses and how they might, often surprisingly, affect one another. Our senses cooperate in a system of intricate coordination, the most common example is how the loss of one sense might strengthen another. It is for instance a well-known fact that blind people often have a particularly sharpened sense of hearing (something which makes them eminent piano tuners). However, there is another connection between hearing and seeing which is not equally well-known. American teenager Ben Underwood lost his eyesight to cancer at an early age yet, as a teenager, were able to perform seemingly impossible tasks such as playing basketball, bicycling and zigzagging between parked cars on rollerblades. In order to perform this Ben made use of human echolocation, a technique where sharp sounds such as tongue clicks or clapping is used to orient oneself. 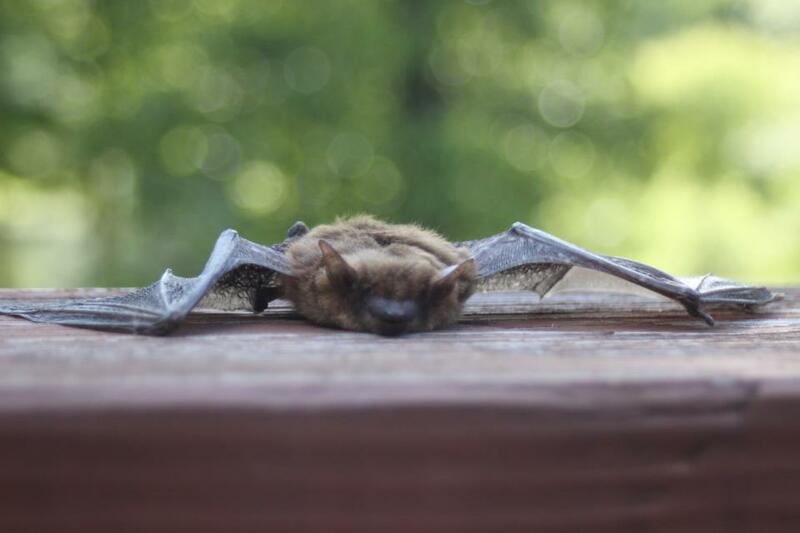 The technique of echolocation is also used by bats hunting in the dark and in the sonar technology of U-boats. The sound waves from the clicks hits objects close by and reflects them back to the sender. But what is truly remarkable is that the reflected sounds are processed in what is normally the “visual” part of the brain, creating an internal “image” of the object. In other words: an experienced echolocator is actually “seeing” i.e. using the visual parts of his brain but without the eyes being the provider of the sensory input. Many people, when listening to music, experience a sense of internal imaging triggered by associations to the music but the fact that our brain is able to “re-map” a more direct connection between auditory input and visual imagining is nevertheless quite extraordinary, as is the fact that the human brain is not dependent of the eyes in order to “see”. There is however no need to lose a sense in order to experience how sight and hearing are interconnected. 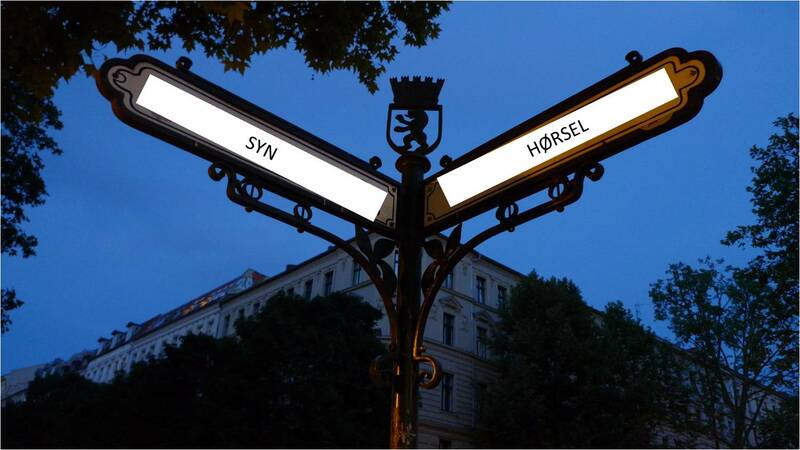 The restaurant in Berlin might be used to highlight another interesting connection between hearing and seeing. The concept of the place worked like this: you order your food out in the bar, were given a designated waiter which then led you, Jenka- style, to your table. Here the food were served and digested, all in complete darkness before you were led back out into the bar and the awaiting bill. The most interesting part of the experience (which might say something concerning the quality of the food served) was that even though my sense of hearing were sharpened in the pitch black dining hall what quickly became obvious was to what degree my sense of vision was normally aiding my hearing when it came to organising the received auditory information. The ability to be able to see the origin of surrounding noises turned out to be quite important in arranging the auditory input into an understandable sensory experience. Without this help the surrounding noises quickly became an un-distinct mesh of sensory input, sort of like the difference between a two-dimensional and three-dimensional picture: to the brain everything was equally important and consequentially the result was confusion. (Added to this came the unpleasant experience of tentativly fumbling over a plate of uncertain content and the awareness that half of this content might indeed be outside of the plate or in my lap at the end of the meal without my knowing it). What was lacking was in other words the ability to filter out the important parts of the surrounding auditory information, a task familiar to anyone who has ever tried to have a conversation with a friend while sitting in a cafe surrounded by the noise of clicking copy cops, background music, traffic and hissing steamers. It is possible that a somewhat longer exposure would have changed the experience. Whatever the case: the novel sensory experience was worth the unpleasantness of the moment. Even though Ben Underwood is far from the only blind person making use of echolocation few have been able to match the ease with which he were able to navigate his surroundings. Using a technique called Functional Magnetic Resonance Imaging in which activity in the different areas of the brain are detected scientist were able to show that whereas the brain of an echolocation-expert showed significant activity in the brains “visual” areas when subjected to the reflected sound waves of clicking, a non-blind person subjected to the same sounds showed no activity in these areas. In other words: the connection between the different areas of the brain is due to something called neuroplasticity, an activity in which the brain essentially re-maps itself, creating new connections -and this takes time. Learning to echolocate is therefore not easily done. At the same time there is evidence that the connection between our different senses are initially rather tightly woven in all of us. Synesthesia is the name of a neurological phenomenon where stimulation of one sense (for example hearing) unwillingly triggers other senses creating uncontrollable parallel sensory experiences. The sight of a particular colour might trigger the experience of a taste, certain sounds might create the experience of particular smells and (the most usual variety) different numbers and letters (either spoken or written) are perceived in colours even though they might be written with black ink on white paper. Synaesthesia appears more often in children than in adults and tends to disappear as the child reaches adolescence (some scientists also claims that before the age of three months we are all colour-hearing synesthetes) but in some cases synaesthesia might linger on into adult age. The musical world is full of synesthetes which with a varying degree of success has made use of this condition and allowed it to affect their music making and creativity. 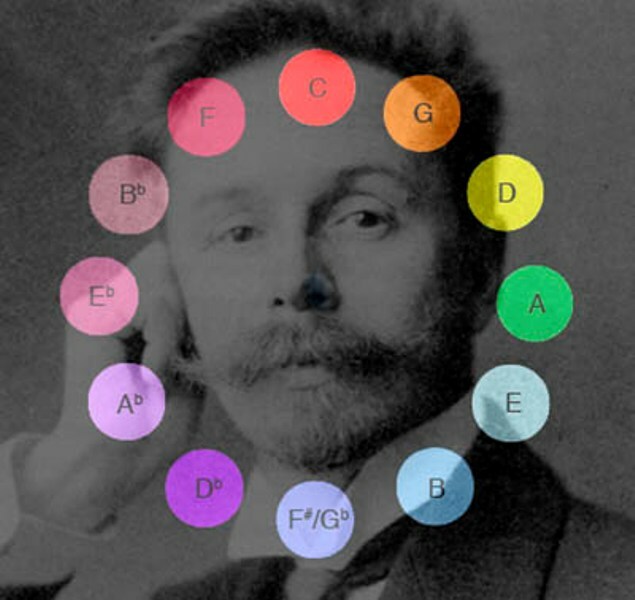 Among the great classical composers several have told of how certain pitches or chords triggers the experience of a certain colour. The Russian composer Alexander Scriabin made an attempt to convey his own inner experiences to the audience by composing works which were to be performed on specifically designed “colour-organ” where each tone simultaneously produced a beam of coloured light projected into the concert hall. Olivier Messiaen and Franz Liszt are among other classical composers who are known synesthetes but in the world of popular music we also find artists such as Duke Ellington and Elvin Jones who has described similar experiences. Many synesthetes report that they consider this condition as an enriching part of their music making (indeed for many it initially came as a surprise that not everyone shared their experience. )This might not be so strange, after all: when considering a phenomenon like a contemporary rock concert it might seem that the goal is to create something similar to the synesthetes multi-sensory experience with the rock concert’s sensory onslaught of light show, sound, film and pyrotechnics. And this wish for multisensory stimulation is no new phenomenon either. A central term from the time period known as Romanticism is the so-called “Gesamtkunstwerk” where the goal of the composer was to create an art-form in which all of the different art-forms were merged together into a single unity. Richard Wagner is considered as a composer who were consistently striving towards this goal. According to Wagner art had been in a pitifully fragmented state of being ever since its ancient Greek roots and he promptly set forth merging the different forms by revolutionising the opera genre. The result was, as we know, gigantic works in which the music no longer were seen as merely the means to convey text but where melody, chords, harmony and rhythm all were used as conveyors of meaning in themselves, and where the elements of drama and music were integrated in a completely new way. The 4 operas known as the Ring cycle is one of the great achievements of this thought where every person and important object in the great 4-part saga has its own designated theme or sound-flavour making it possible to a certain extent to follow the story without understanding the text. In 2010 – 2012 at the famous Metropolitan Opera in New York City director Robert Lepage staged a spectacular rendering of the complete Ring cycle in which projected film, a gigantic movable scene -construction, music, colours and drama merged in a way that would make any synesthete nod which recognition. (The entire cycle is available on Blu-ray and is highly recommendable). Even among the most ardent sceptic’s the staging was an immediate success. Could it be that all of us harbour deep inside an indistinctive longing towards the multi-sensory experience of the synesthete? Especially when considering that this most likely mirrors a way of experiencing the world which we all have had at an early infant age? That is however not to say that more is always better: the earlier mentioned Alexander Scriabin (the one with the colour-organ) is also famous for having planned an enormous work. Stretching over seven days the intended work was to stimulate not only the visual- and auditory- but the olfactory-senses of the audience as well: at certain points in the score the audience were to be showered with different perfumes which would change according to the music. If the idea originated from a wish to recreate his own synesthetic experiences or merely were the result of a stroke of creative madness one cannot tell. As perfume has a tendency to linger one can only imagine the state of smell inside that concert Hall after only a couple of pages of music, let alone after a stretch of seven days. In addition to the amazing possibilities for cross connections hidden within our neurology we humans also possess the ability to willingly alter our perception to a certain extent: we have the possibility to mentally organise the auditory experiences we receive, allowing us to experience a work of music in numerous different ways. Even though our neurological starting point might to a certain extent be given (most synesthetes have at least one relative sharing their condition so scientists strongly believe that genes are involved here) our ability to train our perceptional abilities when it comes to listening is not so limited. As the ability to change focus while listening to a large extent is dependent on knowledge and having listened a lot to music, subjecting oneself to new listening experiences is the first step towards a richer musical experience. 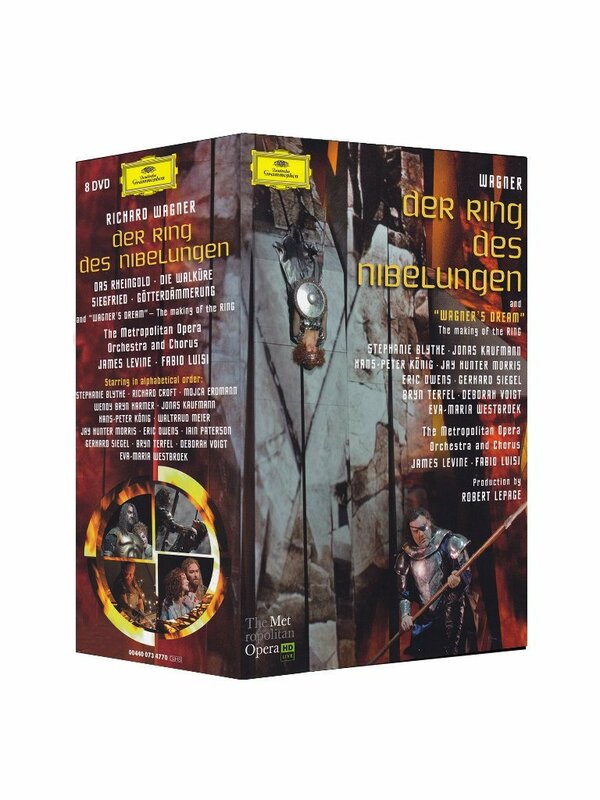 In the Blu-ray box with Lepage’s staging of the Ring cycle a whole DVD is given to extra material where the listener is guided into the numerous quirky secrets and meanings hidden in the music; a fascinating roadmap into a complex and multisensory experience. Have you ever had the time lately to really look at something or someone? Not the quick glance or the romantic eye-gazing but looking as an act of true curiosity and wonder. As children we often indulged in this activity, becoming completely absorbed by the wings of a shiny, black beetle trudging slowly across the ground, or a drop of rain trailing down the window. As grownups there are as far as I know only two professions which encourages this kind of activity: the meditation-teacher and the artist. Some meditational techniques uses a visual point of focus, often the flame of a candle, as a means to enter certain states of consciousness. 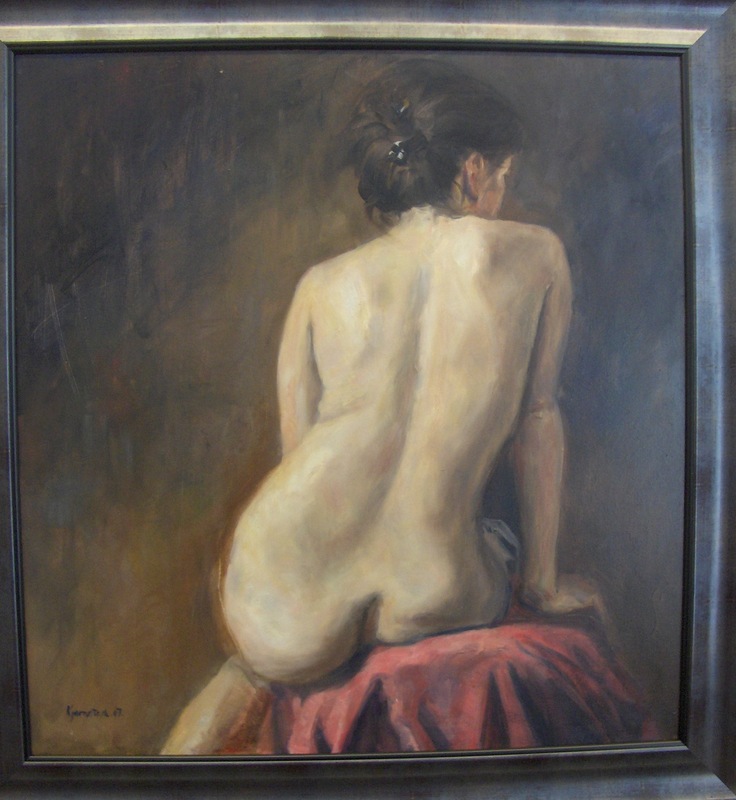 The artist painting a live model enters into a similar state of consciousness but an infinitely more active one. Several years ago I was an avid amateur painter and attended several courses in figure painting at Olav Mosebekks Tegneskole in Oslo with the great teachers Dang van Ty and Hans Norman Dahl. We started off with still lives and copies and then moved on to painting live models. After getting over the initial embarrassment of staring openly at a naked complete stranger the process gradually took on a totally different flavour. As my fascination grew the models started to change. What had initially been a mixture of individuals gradually turned into something else and as their personalities seemed to vanish their features and shapes came sharper into my focus. My mind was forced off its usual labelling- activity (fat man, thin girl with no chin, woman with too long arms) by the task of trying to capture what I saw and reproduce it on paper. As my mind craved more and more details in order to accomplish the task the models, without exception, grew more and more beautiful in my eyes. I do not believe that it was some sense of altruism that was at work here (“see the beauty in every person”) although such a phrase, trite and worn thin as it is, might in its time initially have been created by an experience much like mine. My experience was rather “colder” in that I felt no bond to the persons who happened to inhabit the bodies I was looking at, nor no wish to get to know them personally or desire to fall in love with them. Rather what I felt was a detached form of wonder and awe at the beauty that was gradually growing before my eyes. And maybe this is the clue to the experience: this kind of focus is solely occupied with observing, by the act of focusing. This blog centres around the art of mindful focus, mostly in music although this is far from the only place it exists of course, but no matter the setting or topic; the result of such a focus seems always to be the same: a sense of wonder. We lose ourselves in the experience and at the same time are more present than ever before, maybe because what we are experiencing is our perceptive capacity at its highest potential. Not filtered through layers of expectations or thoughts around how to best put this information to good use but just as a very quite form of perception. Some years later: I am a student at the Norwegian Academy of Music in Oslo, in my second year. Tendinitis in both arms threatens my studies and my student loan is worn thin. As every other Norwegian student I need an extra job to make ends meet but any job involving the use of my hands will be the last drop that tips the tendinitis-scales and shuts the lid on my piano studies. I need a job that doesn´t involve the use of my hands. This, admittingly, was not the only reason that I chose to start working as an art model. One very strong reason was my memory of that experience when painting models myself. My thought was: if I am not the only one who has this experience of beauty when looking at and painting a model (which I doubt) then this is something that most models are experiencing, probably without knowing it in some cases. And I wanted very much to experience what that was like. So I did. I found out from the other side of the easels that ever so often during a painting session (more often with a professional artist but also quite often in art classes) there would come these long stretches of silence with a very particular form of energy in them. I believe these to be somewhat related to the moments of connection that a performer on stage and an audience sometimes experiences, when the listening involves more than recognising the parts of the music that one “likes” and where the listening on both sides switches to something deeper.